I've always been a fan of cinnamon rolls, but lately I've completely fallen in love with orange rolls. Maybe it was because I have always been lazy and bought canned cinnamon rolls. The regular ones were always just like a biscuit with some glaze on top, but the orange rolls were actual rolls that have a sweet and juicy glaze on top that was just irresistible. So irresistible that I would practically eat the entire can by myself whenever I would make them! 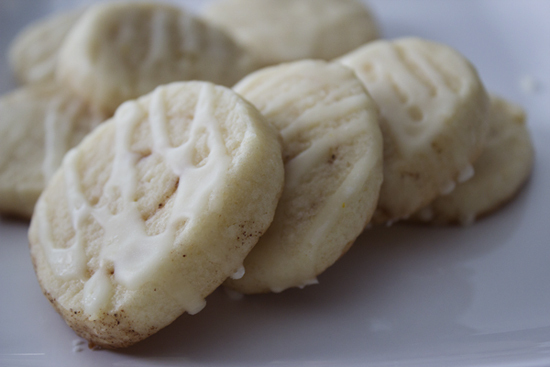 While I'm still not adventurous enough to make cinnamon rolls from scratch, I can definitely make cookies from scratch (even though this recipe uses prepackaged sugar cookie mix - but feel free to use your favorite sugar cookie base!). Here is my twist on the popular cinnamon roll cookie with a yummy orange glaze. Yum yum yum! Mix together sugar cookie mix, butter, and flour until combined and a dough begins to form. Sprinkle some additional flour (be generous and test out a portion of the dough before placing the entire thing on the counter.. the dough is very sticky) on to a clean surface and roll the dough into a rectangular shape and at about 1/4 inch thickness. Spread melted butter on top of dough and sprinkle brown sugar and cinnamon on top. Starting for the long edge of the dough, roll up jelly roll style. 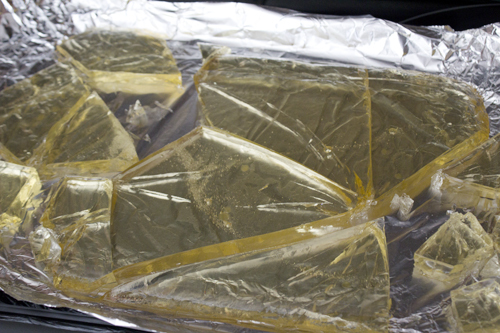 Cover in plastic wrap and refrigerate for a minimum of 1 hour. When throughly chilled, slice dough until 1/2 inch - 3/4 inch slices. Place slices onto a cookie sheet and bake for 14-15 minutes. Place on cookie rack to cool completely. To prepare glaze, combine 1 1/2 cup powdered sugar with 3 tablespoons orange juice. Drizzle over cooled cookies and allow to set. Cookies adapted from Betty Crocker. I still have a bag of leftover Halloween candy sitting on my kitchen counter. That's because, sadly, I've had to eat the entire bag by myself! I was so excited to hand out candy the first year in my brand new house and new neighborhood. I had zero trick or treaters come to my house and ending up spending my favorite holiday doing laundry. So the bag sat there for a week and I slowly started munching on the candy until finally I decided it was time to use it up the remaining pieces quickly. The majority of what was left was regular and peanut M&Ms, so I decided to toss since some peanut butter chips in to the mix as well. After allowing the butter to reach room temperature, cream together butter and both sugars until creamy. Add the egg and vanilla extract and mix until smooth. In a separate bowl, combine flour, cornstarch, baking soda, and salt. Slowly add the flour mixture to the butter mixture until fully combined. 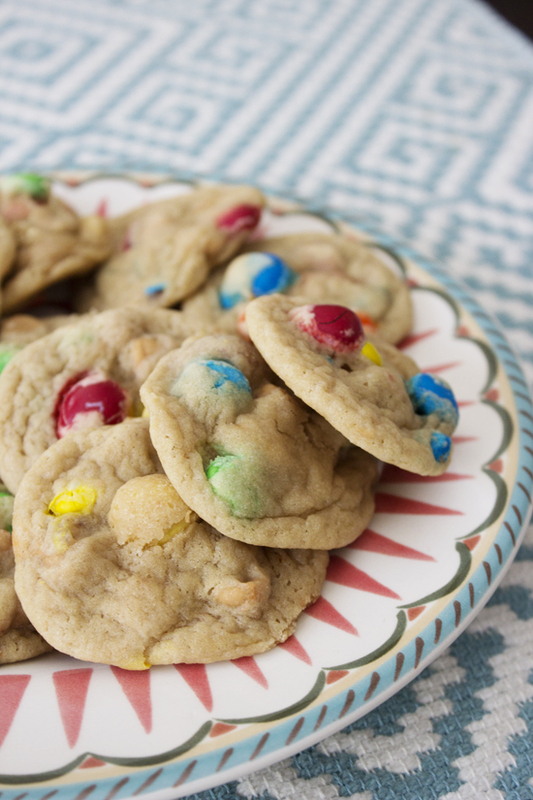 Add the peanut butter and M&Ms (or desired mix ins) and mix until mix ins are evenly distributed (this takes about 30 seconds with my stand mixer). Wrap cookie dough in plastic wrap and refrigerate for at least 1 hour. Preheat oven to 350˚ and line a baking sheet with parchment paper. Remove dough from the fridge and let rest for about 10-15 minutes. Roll dough into balls about 1 inch in width. The dough will hold it shape when baked, but make sure to spread balls evenly on the baking sheet. Place the dough back in the fridge to stay chilled between batches. 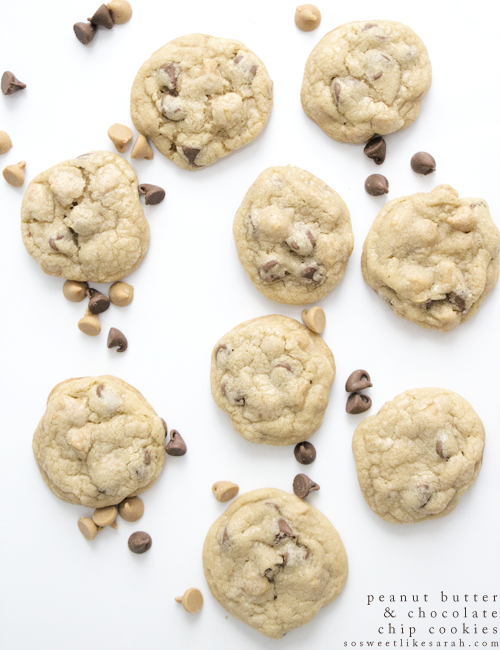 Bake each batch for 9-10 minutes or until bottoms are golden brown. I normally peek at the bottoms around 9 minutes in and decide from that point if they need to bake for a minute more or so. Transfer to cooling rack and allow to cool completely. Welcome to Frightful Friday!... on a Saturday. And one week later. I had a wonderful idea and intentions for last Friday's post, but it was a total bust. The batter for the cake roll I was making turned out horrible and ended up going straight to the trash. I planned on making something Friday night or Saturday morning, but ended up running out of time. I was leaving to go out of town to run my ninth (!!!) half marathon and that took precedent over baking and photographing some yummy desserts. And if you are curious, my race was amazing. I ended up setting a new personal record by over twenty minutes despite all the crazy hills that were part of the course. It's safe to say my confidence is fully restored in my running ability and I can't wait until my next big race! But I am back (although a day late) with a super quick, easy, and yummy dessert! 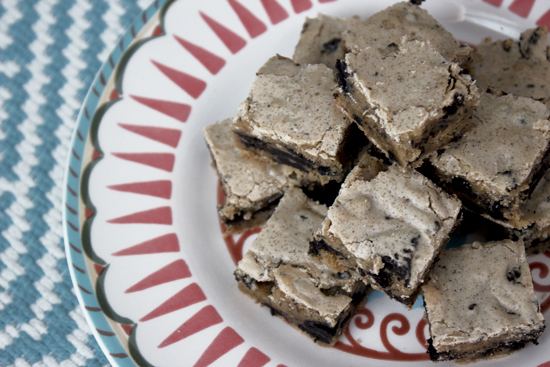 You can whip up this dessert in about five minutes. 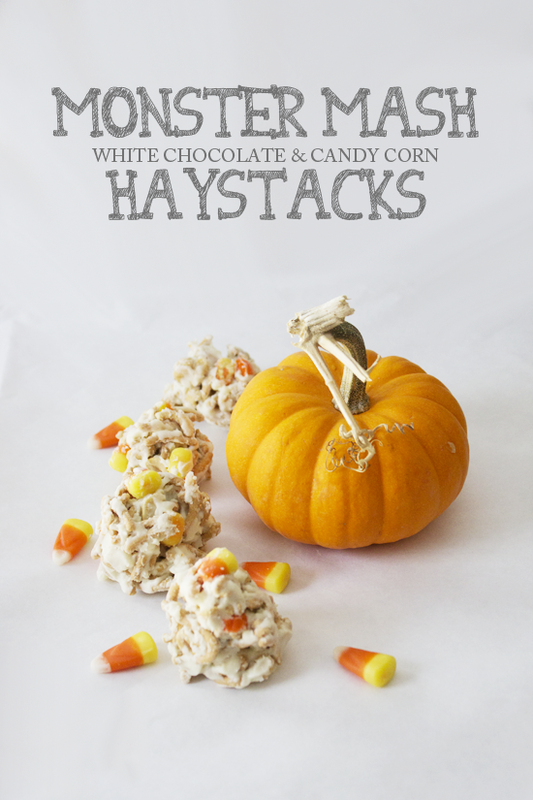 The sweet and salty combination of these haystacks just hit the spot! You could always substitute thin pretzel sticks for the chow mein noodles or use any type of nuts in place of peanuts. 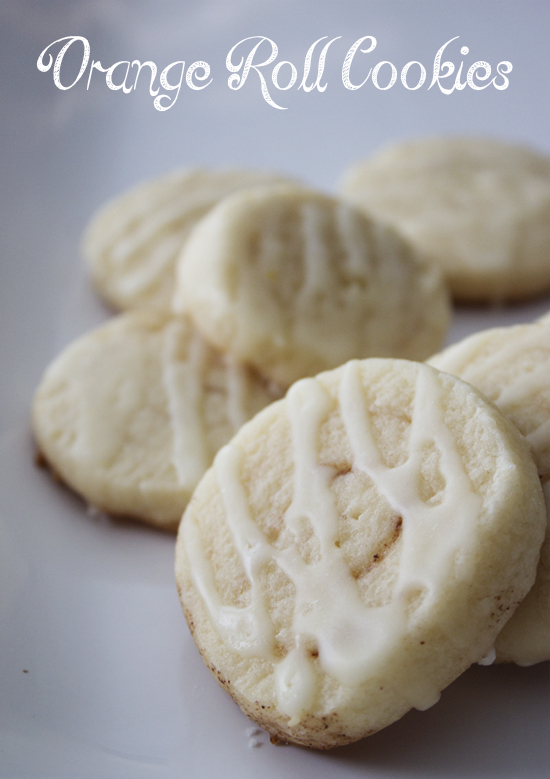 Melt white chocolate over a double boiler. 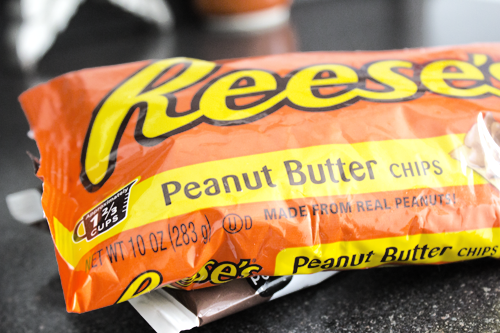 Add peanuts and chow mein noodles to melted chocolate and stir until completely covered. I did this while keeping it over the double boiler. Mix in candy corn until evenly dispersed. Working quickly, drop mixture by spoonfuls (or use your hands to form small balls) on wax or parchment paper. Allow to cool completely and store in an airtight container. If you enjoyed this post, please share it! 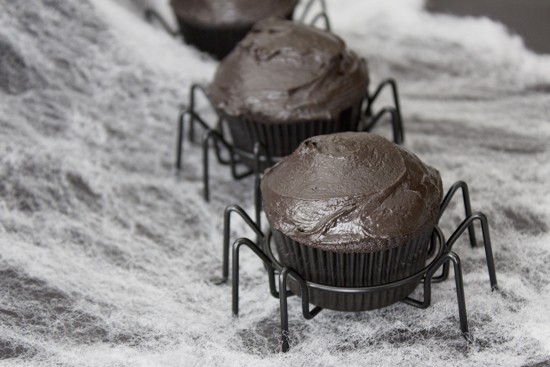 And don't forget to check out the other Frightful Friday posts on my blog! "Bloody Mary.. Bloody Mary.. Bloody Mary.."
We've all heard of the Bloody Mary legend and probably have tried it ourselves during middle school sleepovers. Legend has it that if you say her name three times while looking in a mirror and holding a candle, she will appear in the mirror standing behind you. There are many versions of the effects of chanting her name, from the apparition simply appearing disfigured to attacking those who invoke her. What is mysterious still is where the legend began. The Bloody Mary legend can be linked back to Queen Mary I, the Salem Witch Trials, or a girl who in a fatal car accident. 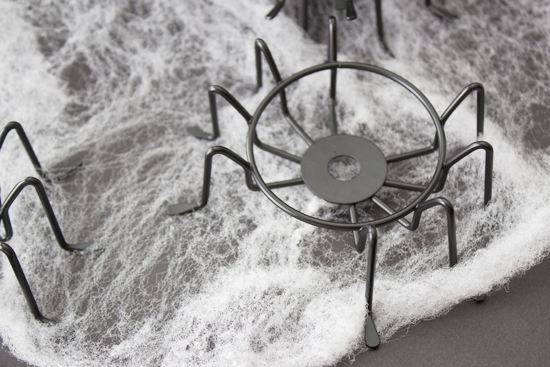 I'm all about the cute side of Halloween, but the eerie and spooky is just as exciting. These cupcakes definitely side with the latter. 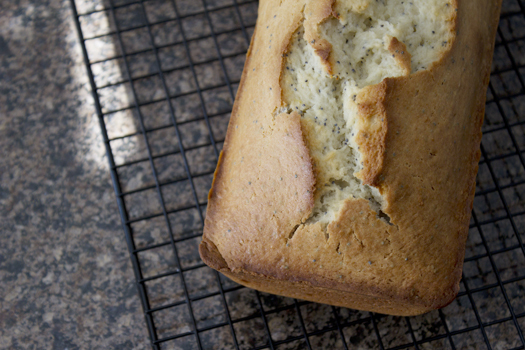 I used a box of white cake mix to speed of the process, but you can use your favorite from scratch recipe if you choose. I really wanted to use a pomegranate jello for this batch of cupcakes, but unfortunately that does not exist. This is something that needs to be fixed! 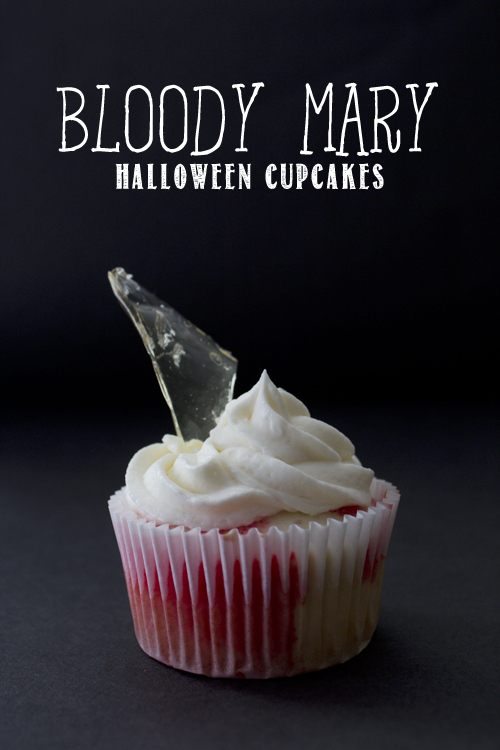 The hardest part about this recipe is the glass shards. I'm not going to lie, my patience was tested. I also discovered my candy thermometer is a piece of junk. However, the final product was definitely worth the time and effort. You will definitely want to make the sugar glass first since it needs an hour or two to set before you can break it apart. I used a 9x13 casserole dish to let my sugar glass set. This made the glass very thick. If you want thinner shards, use a larger pan or dish when preparing. Line a 9x13 or larger dish (larger is recommended, but work with what you have) or pan with aluminum foil and spray with nonstick spray. Combine all ingredients in a large sauce pan and heat over medium heat. Bring sugar mix to a gentle, rolling boil until the mixture reaches 300˚. Continue to stir throughout the heating process. When the mixture reaches 300˚, pour into prepared pan or dish. Let sit for about an hour to two hours or until completely solid. Once solid, gently break the sugar glass into shards using a hammer covered with a paper towel - do not use the hammer directly on the sugar glass. Only choose two or three spots to create your crack in order to create large pieces. Continue to make smaller cracks if desired. Preheat oven to 350˚. Line cupcake pan with white liners. Prepare cake mix according to directions on box. Pour two tablespoons of mix into lined cupcake pan. Bake for 15-17 minutes, or until a toothpick comes out clean. Allow to cool for about 10 minutes in pan. 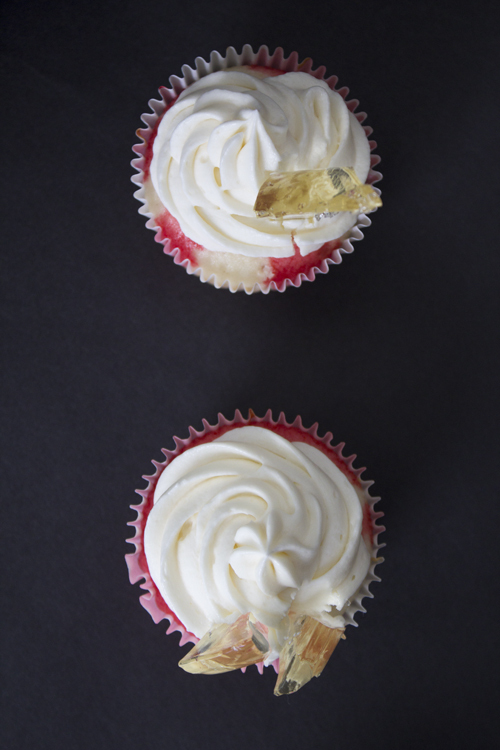 Using a toothpick, poke about 10 holes in each cupcake. Combine boiling water and jello and stir for about 2 minutes. Spoon jello mix* on top of cupcakes (I did about 2 large spoonfuls per cupcake). Place cupcake pan in fridge and allow to chill for about 30 minutes. 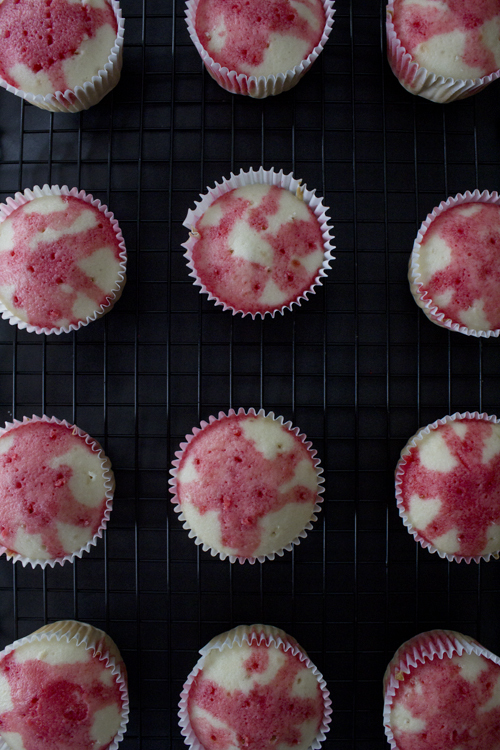 Remove from fridge and prepare to frost cupcakes. * You will have some jello mix left over. I combined 1/2 cup of the remaining mix with 1/2 cup cold water for some actual jello. Cream butter until smooth in stand mixer. Add powdered sugar, 1/2 cup at a time, and mix until combined. Add vanilla and salt and mix until combined. Add 1 tablespoon of milk and mix. If desired, add an additional tablespoon of milk. 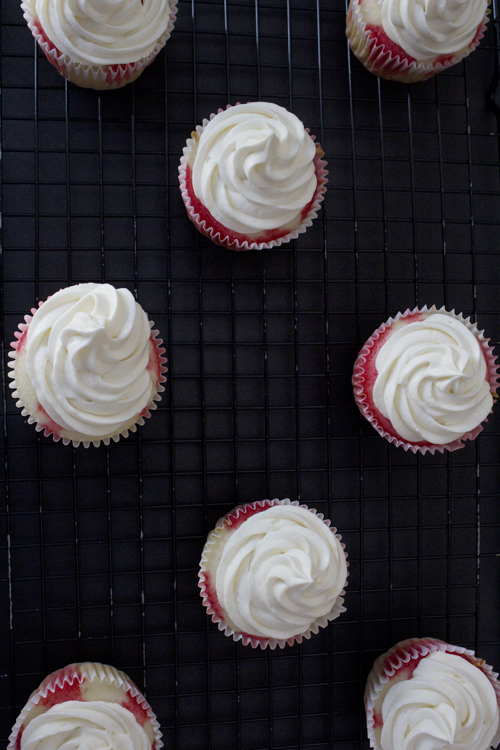 To assemble cupcakes: Frost each cupcake with a generous amount of frosting, as desired. 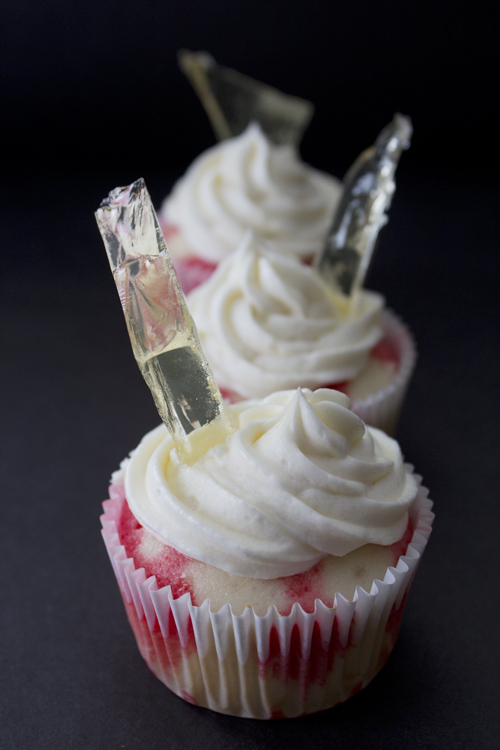 Place cupcakes in the fridge until frosting is chilled (this helps to keep the sugar glass in place). 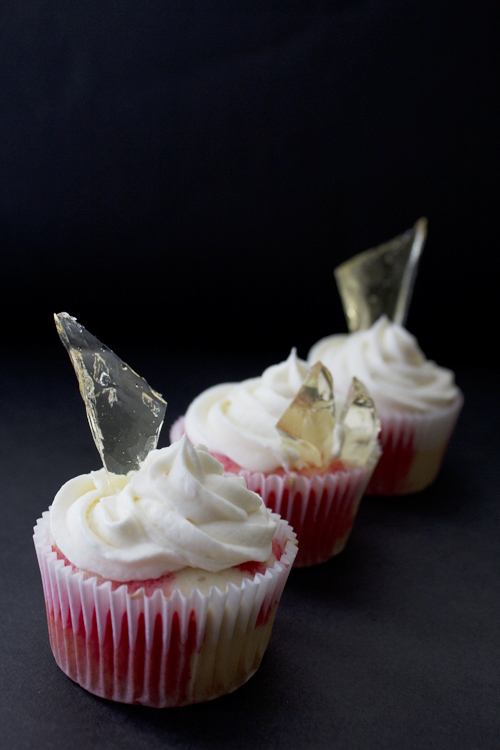 Remove from fridge and lace a small shard of the sugar glass vertically into each cupcake. Adapted from Kraft; Bake Then Eat; Add A Pinch. This post was also included at Tatertots & Jello's Link Party Palooza! Halloween is by far my favorite holiday of the year. Halloween is just not one day for me, but the entire month of October! I'm not afraid to admit that I already had a few decorations up by mid September in my house. In honor of this spooky and fun month, this will be the first in a series of "Frightful Friday" posts dedicated to Halloween treats and sweets. 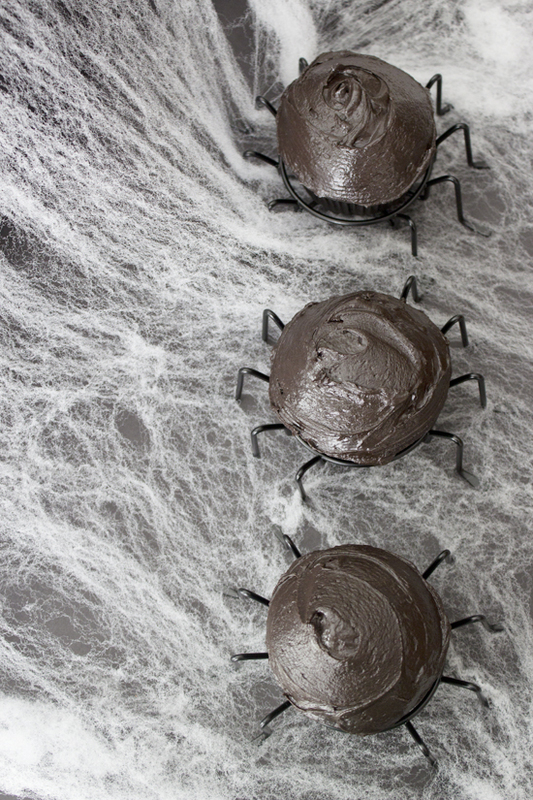 The main appeal of these cupcakes are these adorable spider cupcake holders. I bought mine last year at Target (yay for after Halloween sales!). This year I have seen these cupcake holders in Michaels stores, but if you can't find any locally you can purchase a set of four from Amazon. These cupcakes are SUPER rich therefore I decided to make a small batch of cupcakes. The frosting will make more than enough to frost a dozen cupcakes. 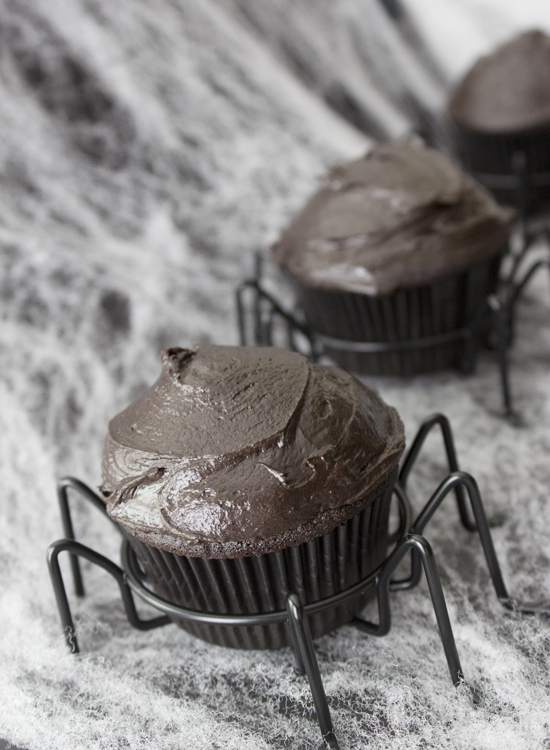 You can use regular cocoa powder if you choose, but I used the dark cocoa powder to make the cupcakes and frosting as dark as possible without adding any additional food coloring. Preheat oven to 350˚. Line cupcake pan with 12 black cupcake liners. In a small bowl, combine flour, baking soda, baking powder, and salt. Set aside. In mixing bowl, cream together butter and sugar until smooth. Add egg and vanilla extract and mix until smooth. In a third bowl, combine boiling water and cocoa powder. Stir until mixed - it will be thick and hot! Alternate and gradually add flour mixture and cocoa mixture to mixing bowl until fully combined. Fill cupcake pan 2/3 of the way full (or about 2 1/2 tablespoons of mix). Place in oven and bake for 20-25 minutes, or until a toothpick comes out clean. Allow to cool for a few minutes in the pan, then transfer to a wire rack. Allow to cool completely before frosting. In a small bowl, mix melted butter and dark cocoa powder. This will create a thick chocolate paste. Place chocolate mix into a mixing bowl and gradually add powdered sugar, 1/2 cup at a time, and mix until combined. Between each 1/2 cup, turn mixer up on high for about 10 seconds. Repeat until all powdered sugar has been added. Add milk and vanilla extract and mix until frosting is at a smooth consistency. Add more milk, if desired, to reach your preferred frosting consistency. This post was also part of the Link Party Palooza at Tatertots & Jello! Go check out some of the other super creative and festive holiday treats and DIY projects! Living alone in my new house brings a lot of challenges. 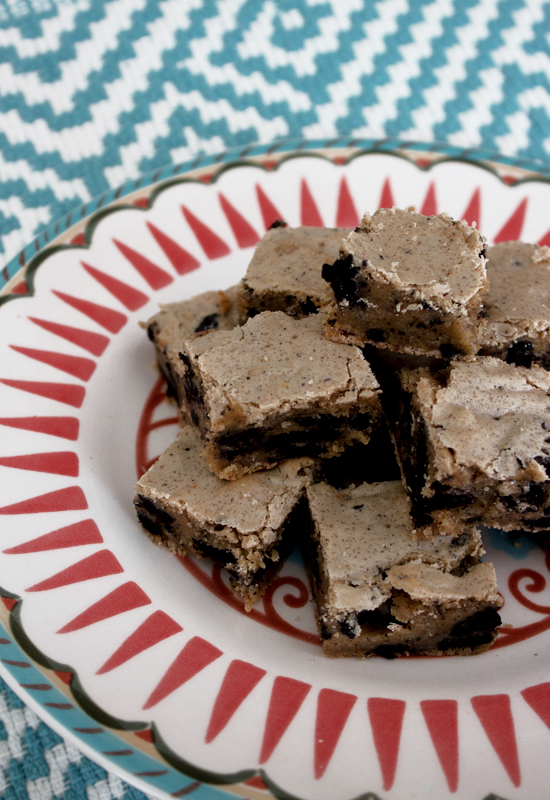 For example, I may be tempted to eat the entire batch when I bake congo squares! Meal time in general is difficult. It's always easier to make more than it is to make small portions, so I'll be exploring main dishes and sides for one or two in the future on this blog. Living alone also means you have to take care of all the chores. This week I mowed the lawn for the first time EVER in my life! This recipe was suggested to me by my sister. 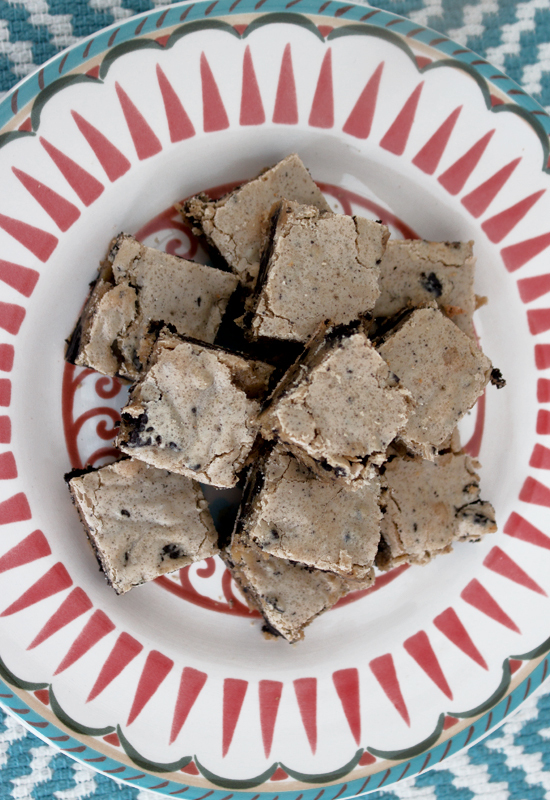 It's definitely a twist on the typical congo squares (or congo bars) that are made with chocolate chips instead of Oreos. 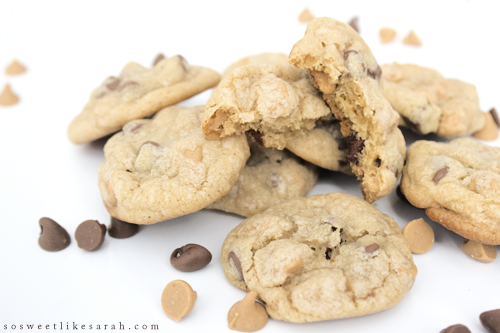 I used double stuffed cookies which added a super creamy texture to the final product. This is a very moist and very rich dessert and is definitely for sharing! 1. Preheat oven to 350˙ F.
2. Cream together butter and brown sugar. 3. Beat in eggs one at a time, then add remaining ingredients except for crushed cookies. 4. Add in crushed cookies in small batches. Mix until incorporated. 5. Spread in to a in a greased 9x13 baking dish and bake for 25-30 minutes. 6. Allow to cool completely and then cut into squares. Long time no post! I've been packing and moving over the past few weeks, but I am finally getting settled in to my BRAND NEW home! I am officially a homeowner for the first time in my life! Now the real work begins as I finally can make a place my home. Even though half of my kitchen is still packed away, I still found enough bowls and measuring spoons to whip this bread together. This bread is super dense and delicious. It's also incredibly easy and quick to put together. 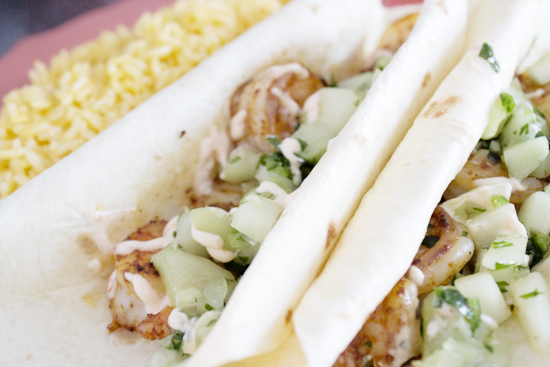 It's the perfect way to use up any extra greek yogurt you have stashed away in your fridge. In a small bowl, add all dry ingredients (flour, baking powder, and salt) and stir until combined. In a large bowl, mix together sugar and eggs until smooth. 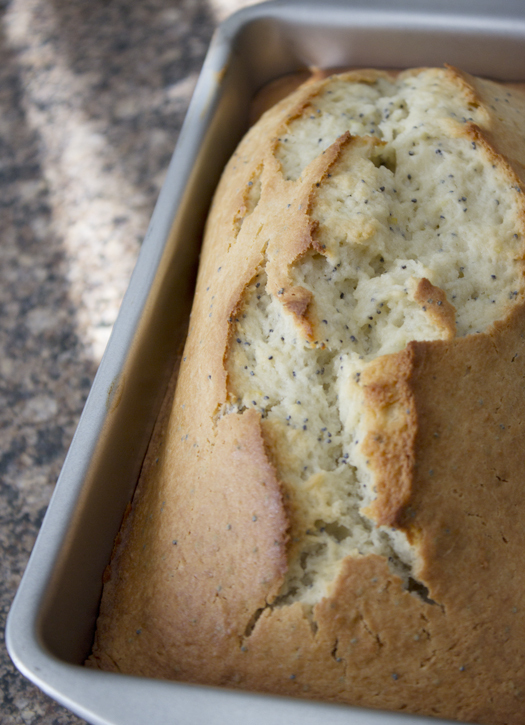 In a small bowl, mix together greek yogurt and poppy seeds. Allow melted butter to cool, then add to egg mixture. Add 1/3 of the flour mixture and stir until combined. Add 1/3 of the yogurt mixture and stir until combined. Continue until all flour and yogurt has been used. 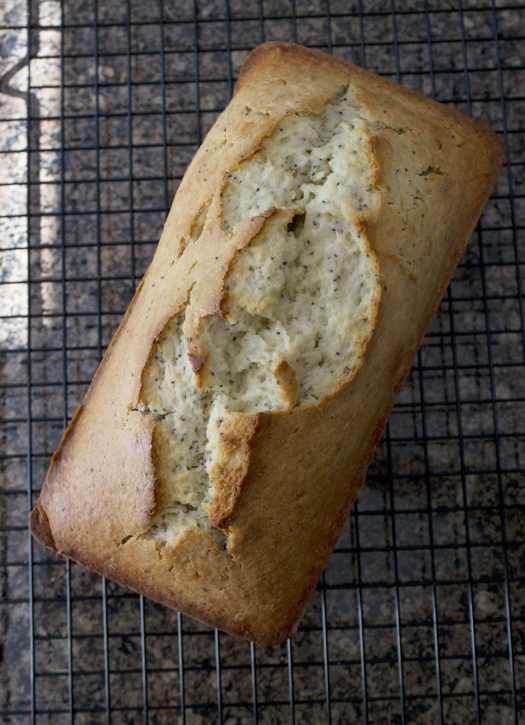 Pour into a greased 9x13 inch loaf pan. Bake at 350˚ for 55-60 minutes, or until a toothpick come out clean. Allow to cool for 5 minutes in pan, then transfer to wire rack. Okay, I know what most of you are thinking. What on earth is a chayote? I had never heard of chayote until I saw it used as a slaw in a taco at a trendy taqueria. Chayote, while when roasted tastes like a squash, is actually a fruit. While searching for some tomatillos in the produce section, I saw a basket of chayotes. I had never seen them in a grocery store around here before and made a mental note to come back and buy some. After coming up with a few recipes to use them in, I went back to buy some. They were gone. I asked the produce manager if he had any and he said, "Chayote? The squash? I can't give those things away!". He seemed to be in disbelief I actually wanted to buy any. After a few minutes of discussion he told me to come back on Wednesday and he'd open a box just for me! Preheat the oven to 425˚. Line a baking sheet with aluminum foil or silicon baking mat. If using aluminum foil, spray with a nonstick spray. Place cut chayote into a bowl. Toss with 1 tsp. olive oil, chipotle chili pepper, and salt and pepper (if desired). Spread evenly onto prepared baking sheet. Roasted for about 20 minutes, flipping chayote on to other side halfway through. While chayote is roasting, heat a skillet over medium heat. Heat up remaining 1 tsp. olive oil and add onion. (You can also add the chipotle chili pepper, salt, and pepper to the onions as well.) Cook onions, stirring frequently, for about 20 minutes, or until caramelized and golden brown. If desired, wilt 1 cup of spinach in a skillet over medium heat. 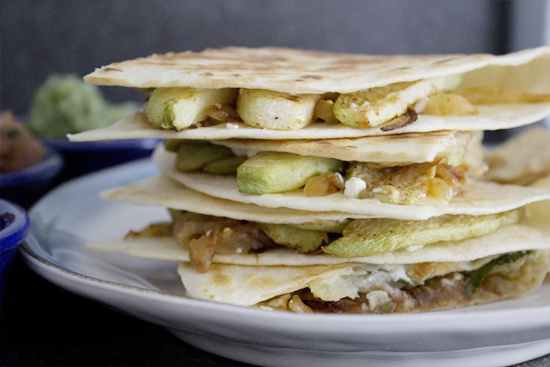 To prepare quesadillas: Evenly distribute roasted chayote, caramelized onions, wilted spinach (if desired), and goat cheese onto half of a tortilla. When filled, fold over half of the tortilla. 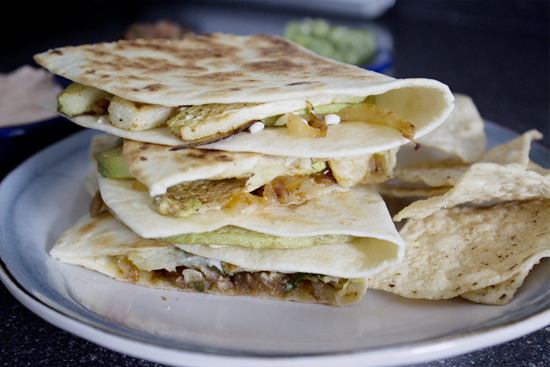 Cook tortillas in a skillet for about 5 minutes on each side, or until they are golden brown and crispy. Top with Simple Chipotle Crema and Tomatillo Salsa. (This makes 1 cup - much more than is needed for the recipe above). Combine all ingredients, except salt, in a blender or food processor. Blend until smooth. Add salt to taste. 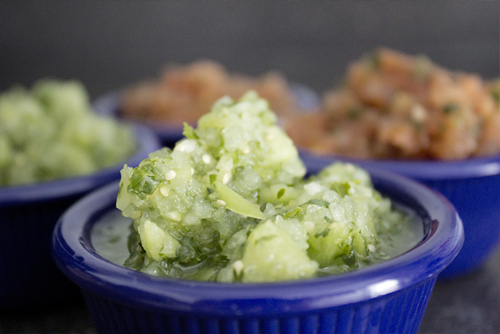 Green salsa, red salsa. One is crisp and refreshing, the other has a little bite. Pick a favorite - because I can't! These salsas are one of my favorite salsas to make and some of the easiest one as well! 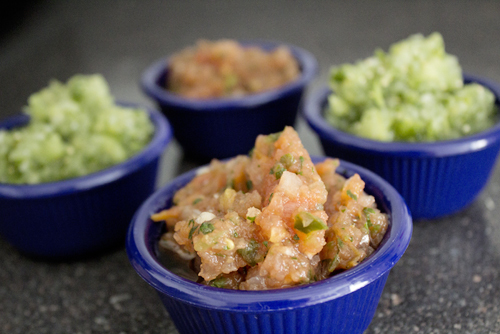 All you need is a food processor or a blender and you are on your way to a super tasty and refreshing salsa. You can use these salsas is a side with tortilla chips or a topping for tacos, quesadillas, even rice and quinoa! 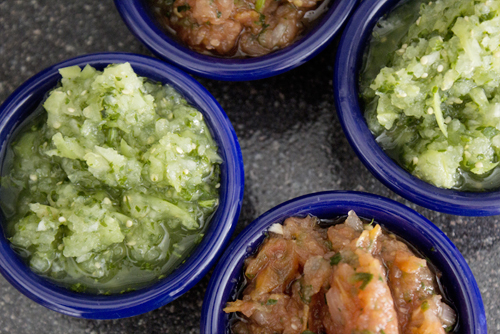 That brings me to the question of the day: What are you favorite salsa(s) and how do you like to use them? 1. Add all ingredients, except sea salt, to food processor or blender and mix until smooth. If you are using a food processor, you may need to do this in batches. Add sea salt to taste. 2. Refrigerate for about 1 hour or until ready to use. The second salsa is just as easy to prepare. While there is minimal chopping, you do need to add a step in to boil the tomato, onion, and pepper. If you were going for a fresh and raw salsa, you could easily skip this step. 1. Boil two cups of water on stovetop. After cutting up tomatoes, onion, and serrano pepper as listed above, place these three items in boiling water and allow to cook for at least 5 minutes. 2. Drain ingredients and allow to cool for at least one minute. Transfer to food processor. 3. Add remaining ingredients to food processor, except salt. Process until a smooth consistency is reached. Add sea salt (and more to taste, if desired). 4. Serve immediately or place in fridge to chill until ready to use. *I normally use sweet or Vidalia onions when cooking. Feel free to use these as well or substitute a white onion instead. If you look back on the photos I have taken you are probably thinking two things: 1) She really needs to practice her photography skills. 2) Does she only own one plate!? To answer those questions: 1) YES! I'm making it a goal each day to photograph anything to work on what I can do. 2) Of course I own more than one, but the majority of my kitchen is already packed up. I'm in the process of buying my first home (yay!) and my closing date is in three weeks! I'm so excited to make this huge move although it is a bit scary to be doing this all on my own. This taco was AMAZING but my unfortunately my tortilla was definitely too big (as I'm sure you can tell from the pictures). I should have used 6 inch round tortillas instead. I ended up rolling it up burrito style to eat but it tasted just as good! The crisp taste of the salsa helps to bring down the heat from all the chipotle that is used in this recipe. This recipe could definitely feed two people if you have additional sides, but I ate the whole thing myself. Yum! It went along perfectly with yellow rice on the side and a coconut paleta for dessert! In a small bowl, mix together olive oil, chipotle chili powder, and salt. Add shrimp and toss to coat. Heat a skillet over medium heat and spray with a nonstick spray. Cook shrimp about 2 minutes on each side or until no long translucent. 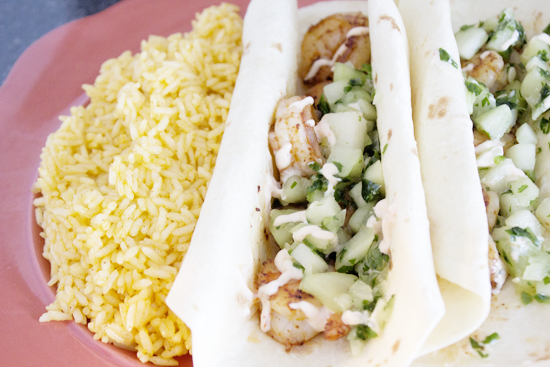 To assemble tacos, divide shrimp between the two tortillas. 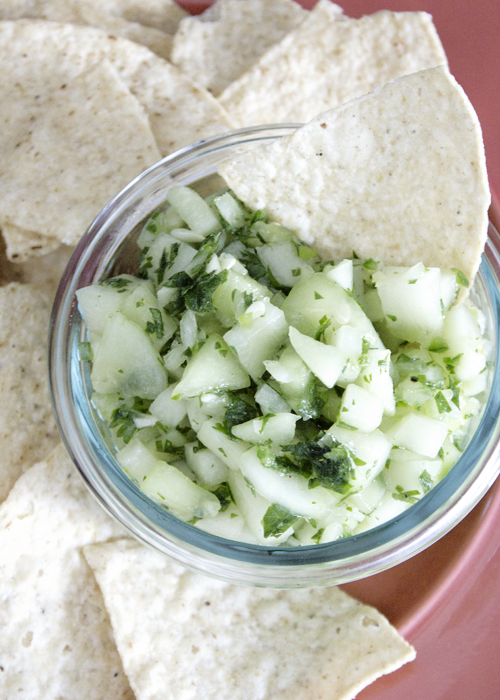 Top with about 2 tablespoons chayote cucumber salsa and drizzle with the simple chipotle crema. Serve along side yellow rice or your choice of side. This is a very green salsa but a very tasty one too! 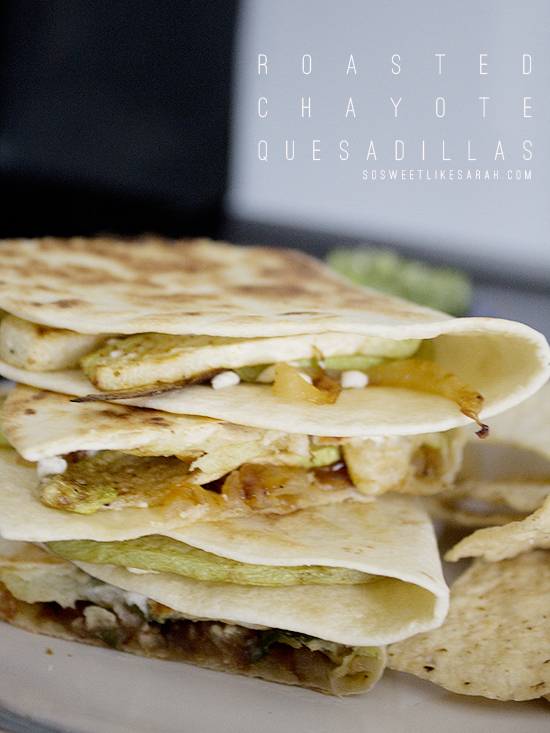 The main ingredient is the fruit chayote that has a similar crisp texture to cucumber. This salsa is very refreshing and light and goes well to help bring down the heat on dishes, like tacos, that have a lot of spices and peppers. I will be sharing a chipotle shrimp taco recipe later on that uses this salsa! 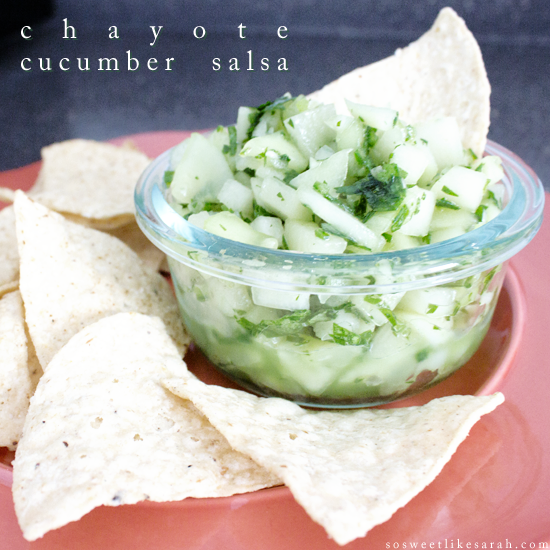 Prepare all ingredients (chayote, cucumber, onion, serrano pepper, and cilantro) as listed above. Combine all diced and minced ingredients into a large serving bowl and stir together. Slowly add oil 1/2 tablespoon at a time to salsa, stirring to coat mixture. If your salsa is evenly coated before you reach 1 1/2 tablespoons, do not add any more oil unless desired. 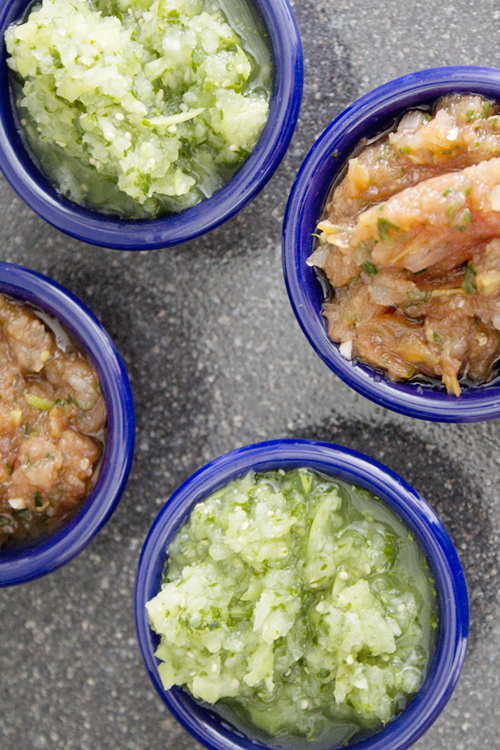 Place in refrigerator for at least one hour to allow salsa to chill and flavors to set. 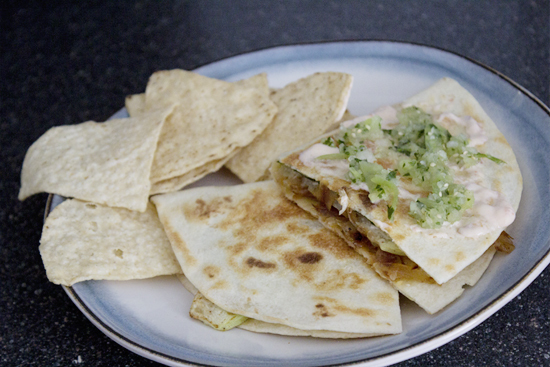 Serve as a side with tortilla chips or on top of your favorite taco or quesadilla! It's been a lot of fun to watch my number of page views grow, see others pin my photos on Pinterest, and learn the ropes through other social networking sites. I was shocked to see my very first post ever be the #1 most favorited recipe on foodgawker for the day! I also had a 'leading news and entertainment' website in Iceland 'borrow' my photos and recipe and post it on their website. 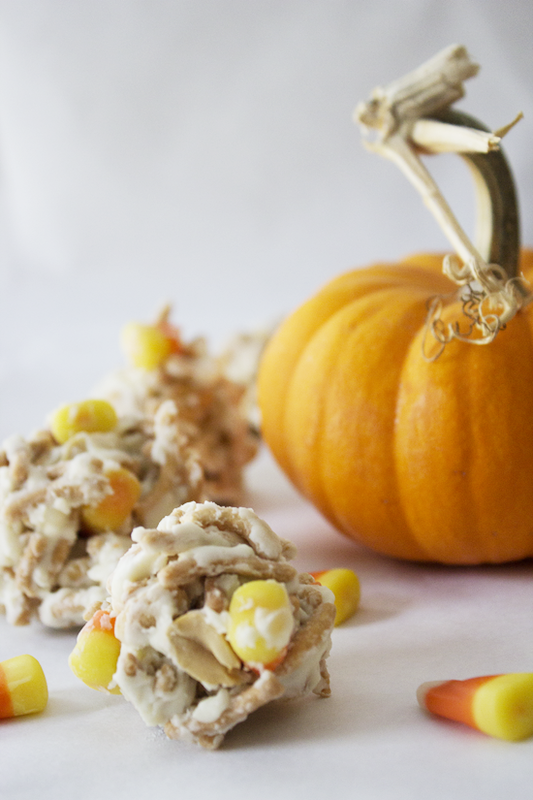 This recipe is a twist on one of my favorite cookie recipes. 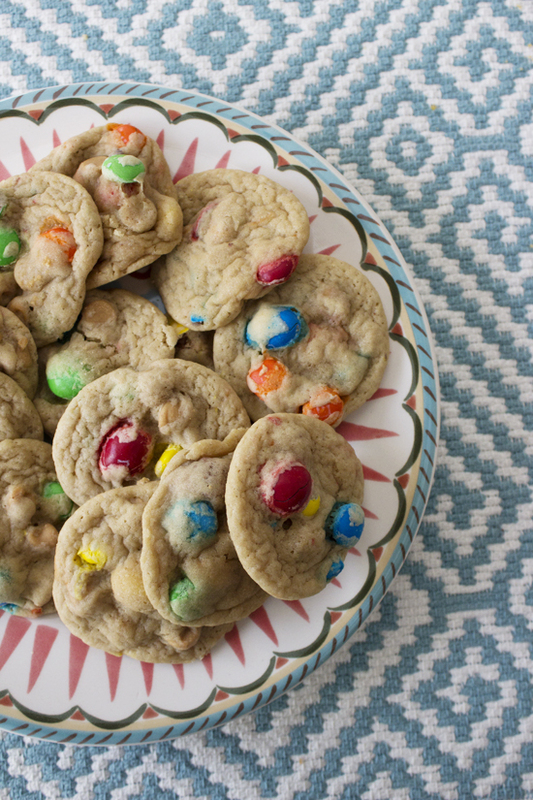 The original is a winner with my family and friends and luckily this recipe makes a LOT of cookies. I have plenty of extra to share! 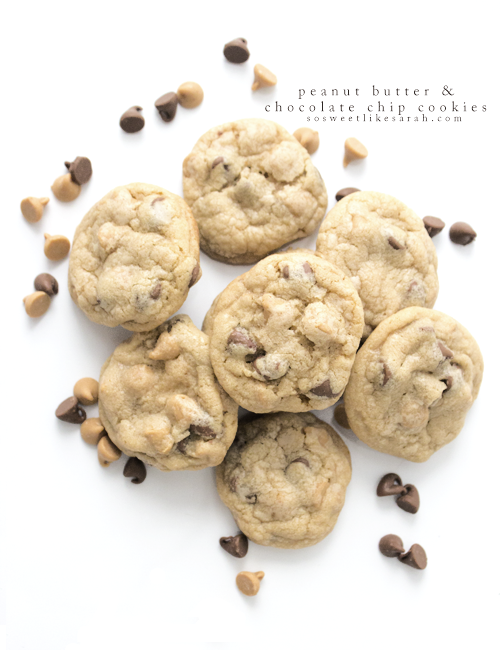 I love the combination of peanut butter and chocolate, so I wanted to try this cookie dough base with these mix ins. The final outcome was a super yummy cookie - but also a very rich cookie! Add the peanut butter and chocolate chips (or desired mix ins) and mix until mix ins are evenly distributed (this takes about 30 seconds with my stand mixer).